Click here to visit the Chicago Bears site and fill out the form towards the middle of the screen to enter their sweepstakes. They’re giving away 159 prizes. You’ll have until August 9th to enter this one. (f) Chicago Bears Autographed Merchandise. Twelve (12) second prize winners will each receive a TEMPUR-Cloud pillow. 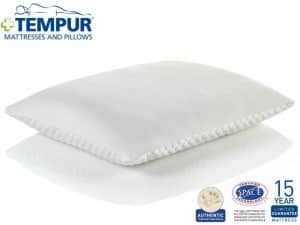 Twelve (12) third prize winners will each receive a TEMPUR-Symphony pillow. Twelve (12) fourth prize winners will each receive Mens Corduroy Scuff Slippers by Tempur-Pedic. Twelve (12) fifth prize winners will each receive Womens Cloud Moc Slippers by Tempur-Pedic. Thirty (30) sixth prize winners will each receive an All-Purpose Pillow by Tempur-Pedic. Thirty (30) seventh prize winners will each receive a SleepMask by Tempur-Pedic. Fifth (50) eighth prize winners will each receive a Plush Teddy Bear by Tempur-Pedic.